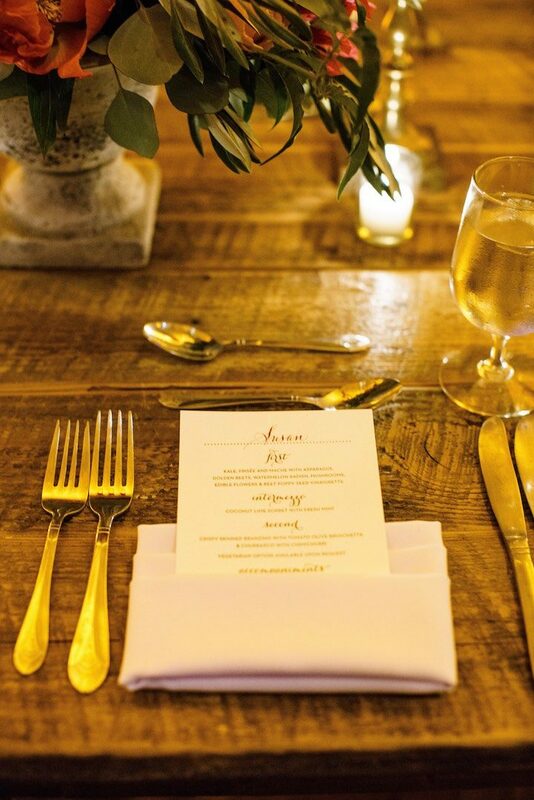 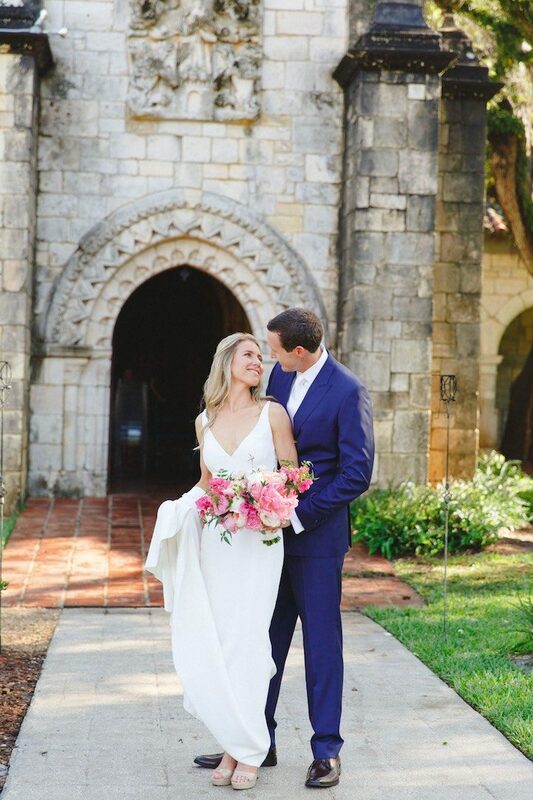 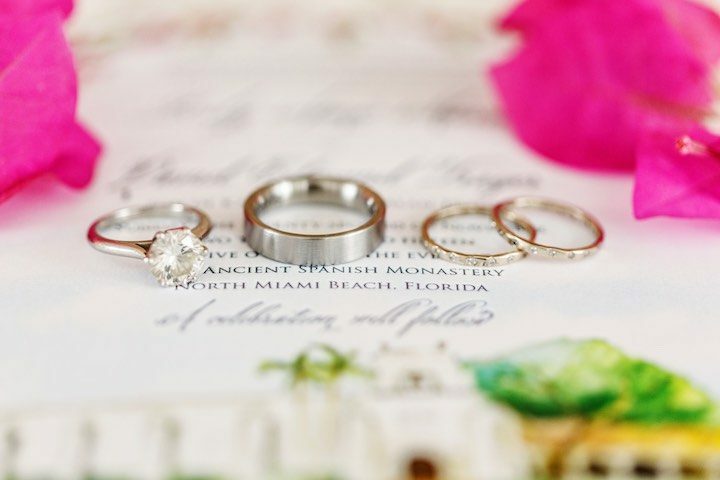 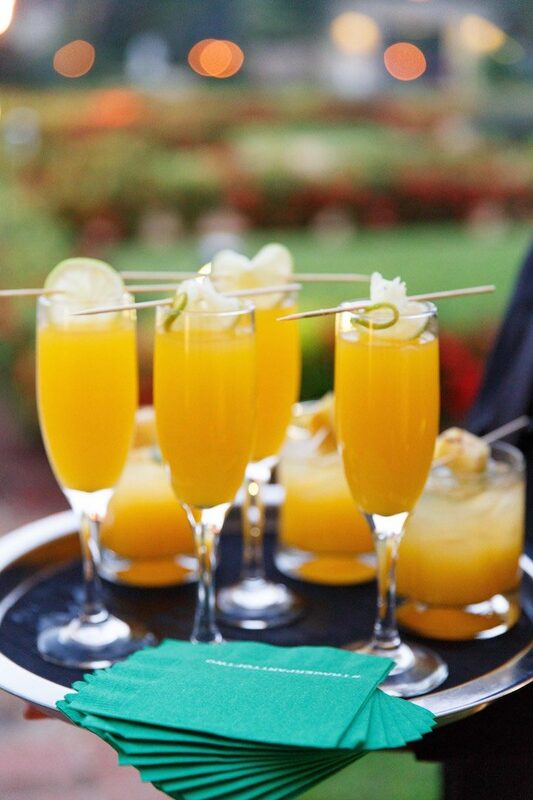 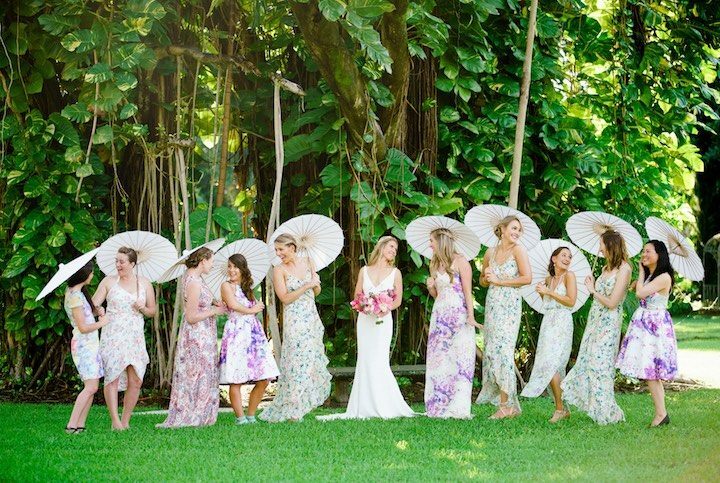 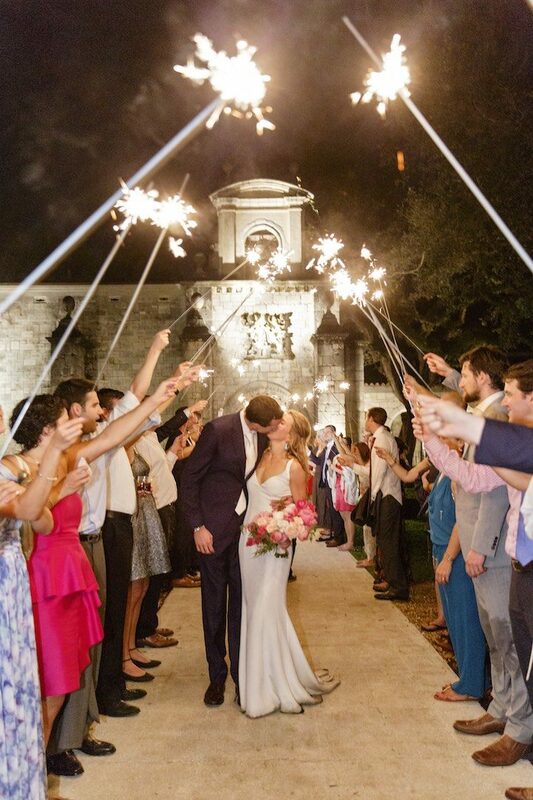 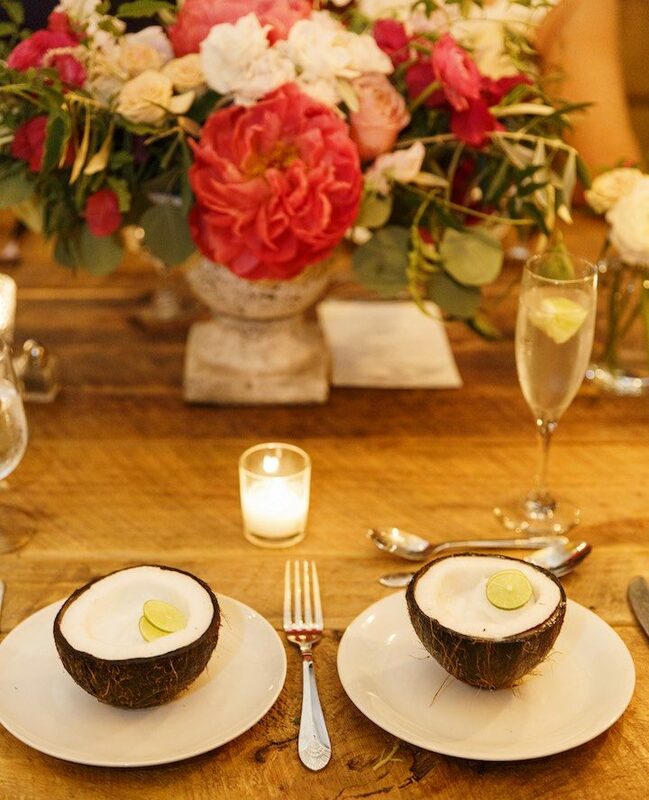 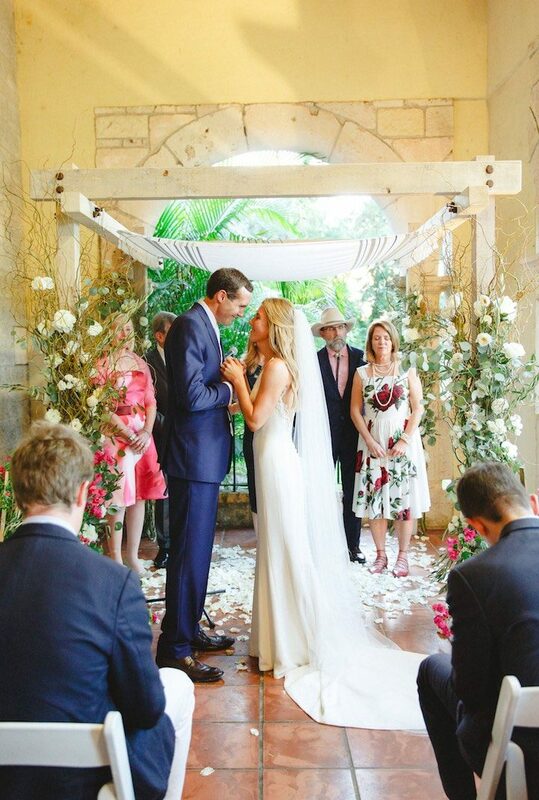 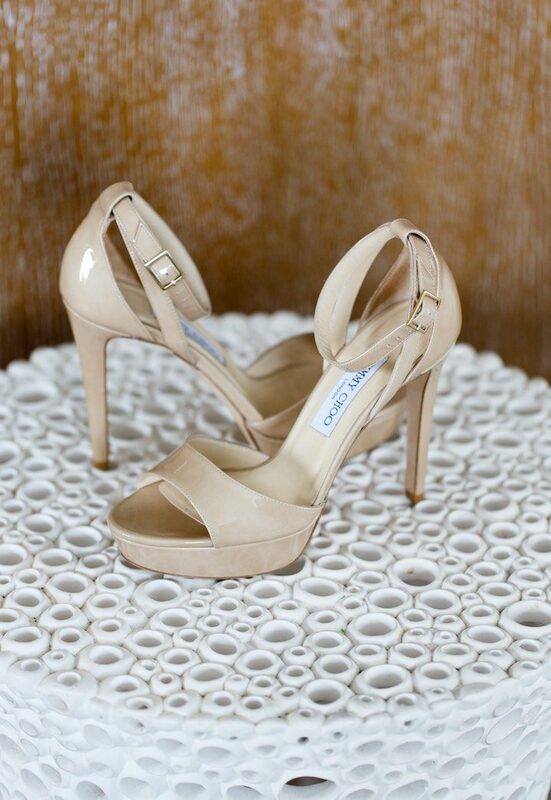 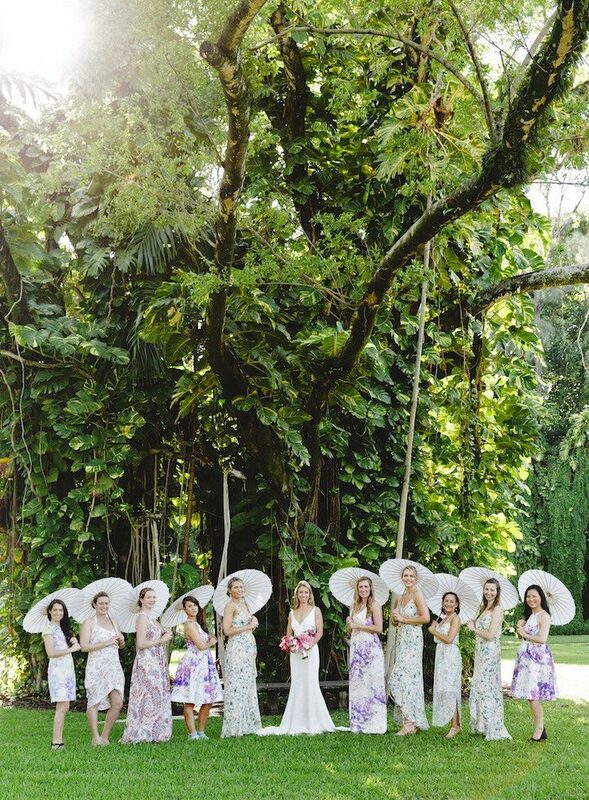 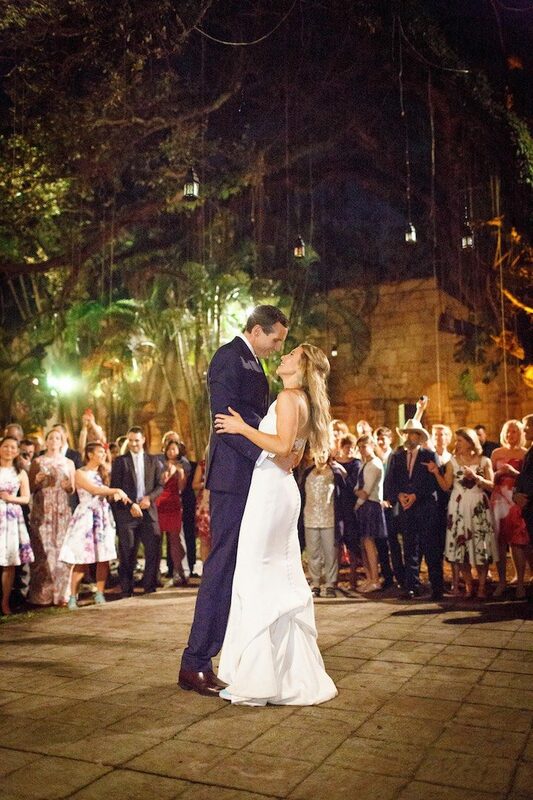 We are totally in love with the European vibes in this Florida wedding. 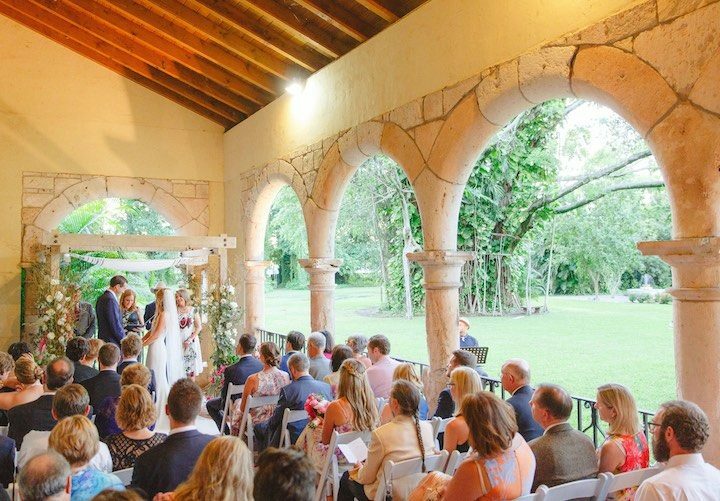 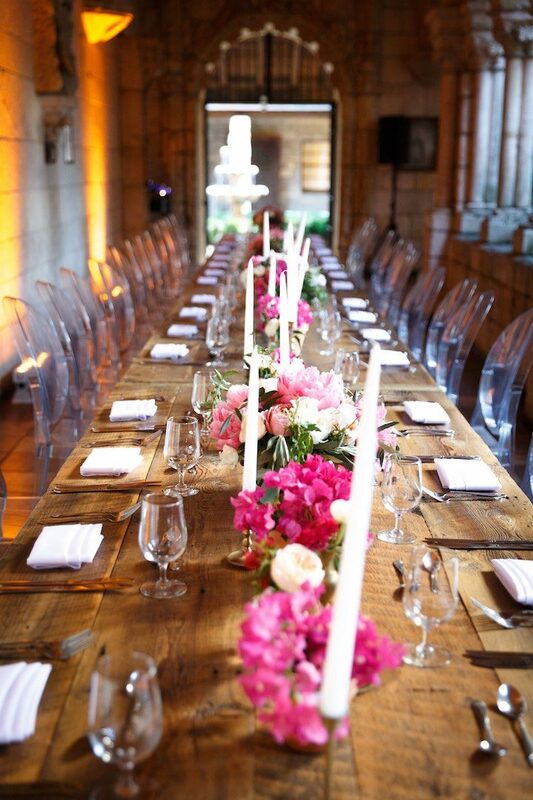 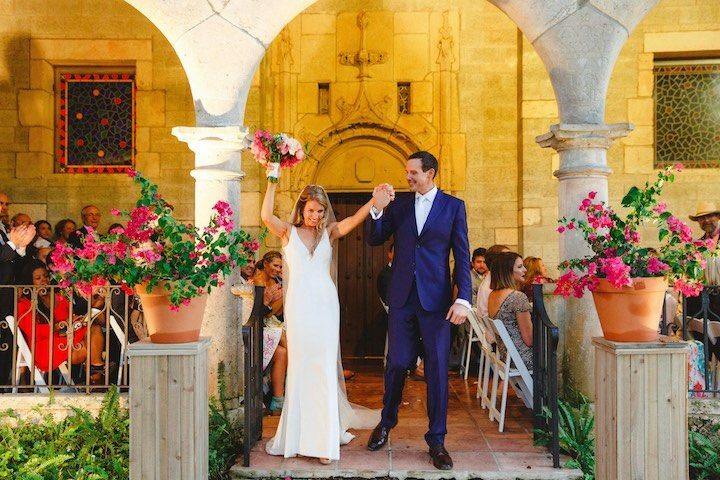 Taking place at the Ancient Spanish Monastery, the surrounding environment offered a nice historic element to this romantic wedding. 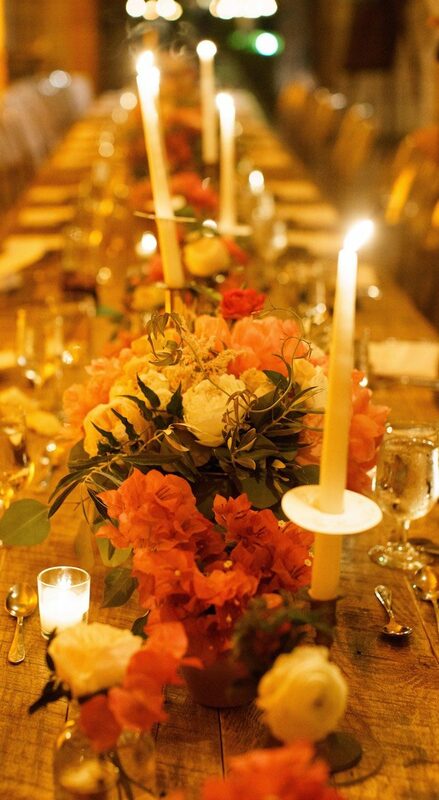 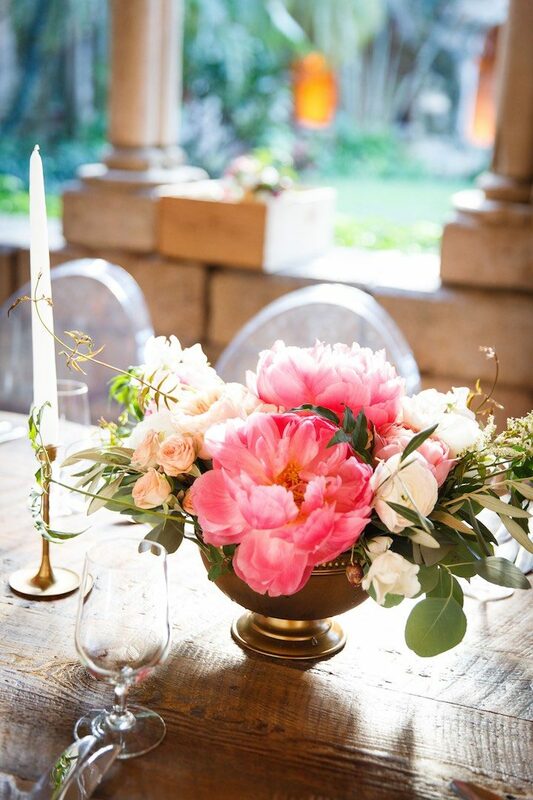 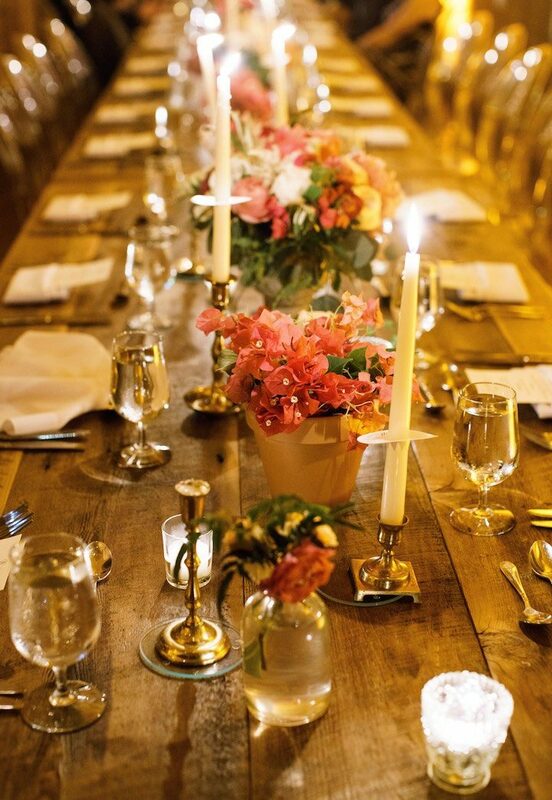 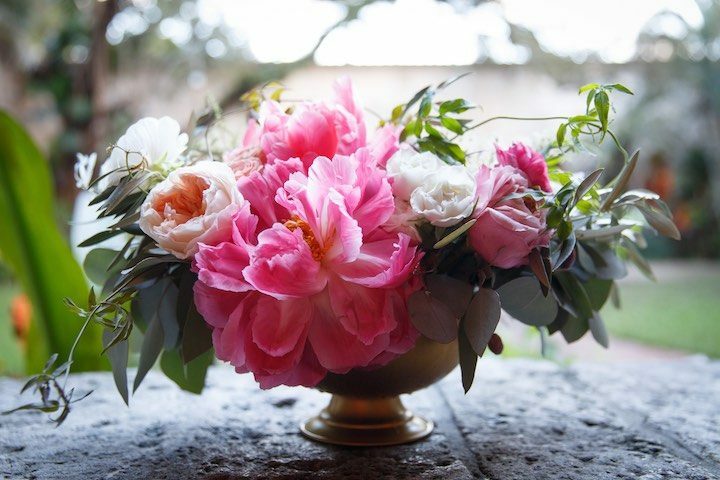 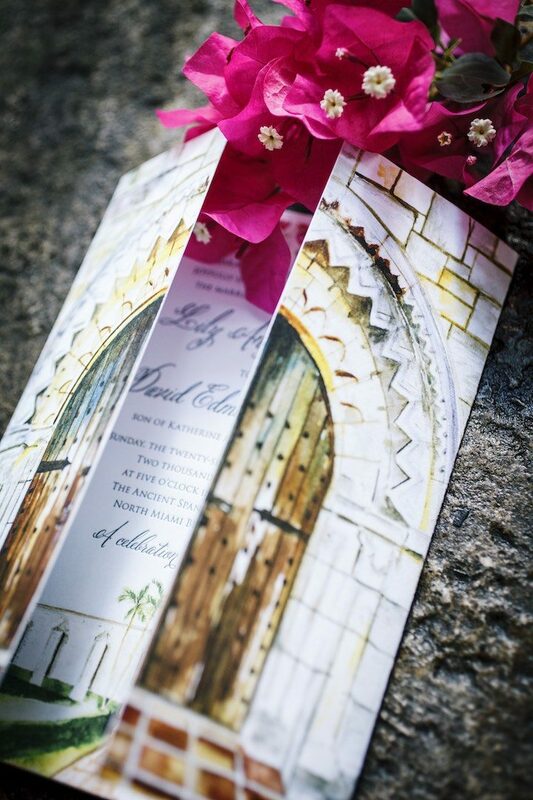 The semi-outdoor ceremony and reception were decorated with bright pink blooms and gold accents. 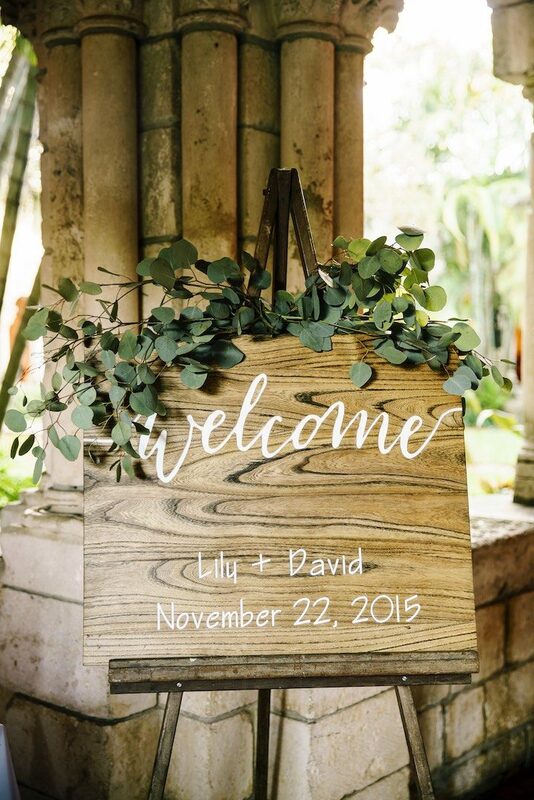 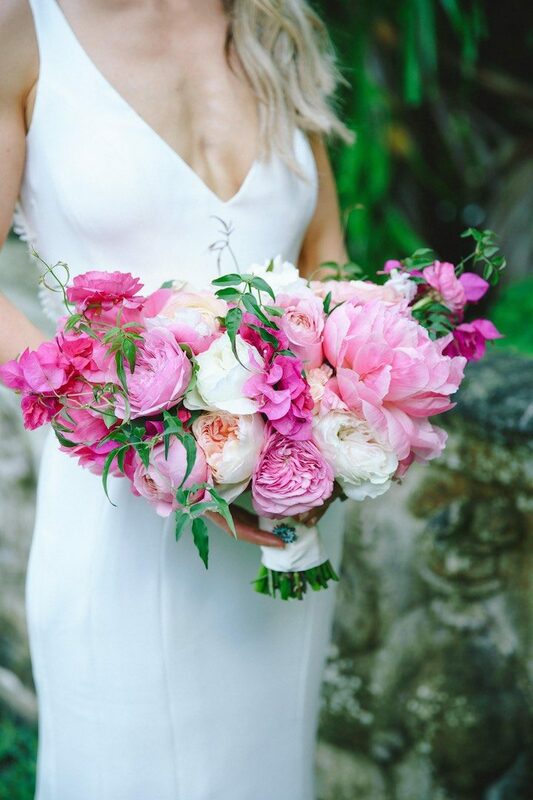 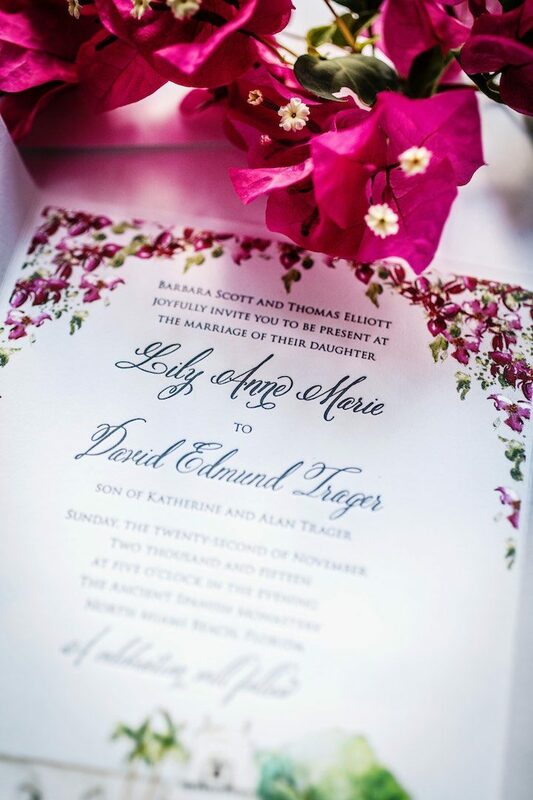 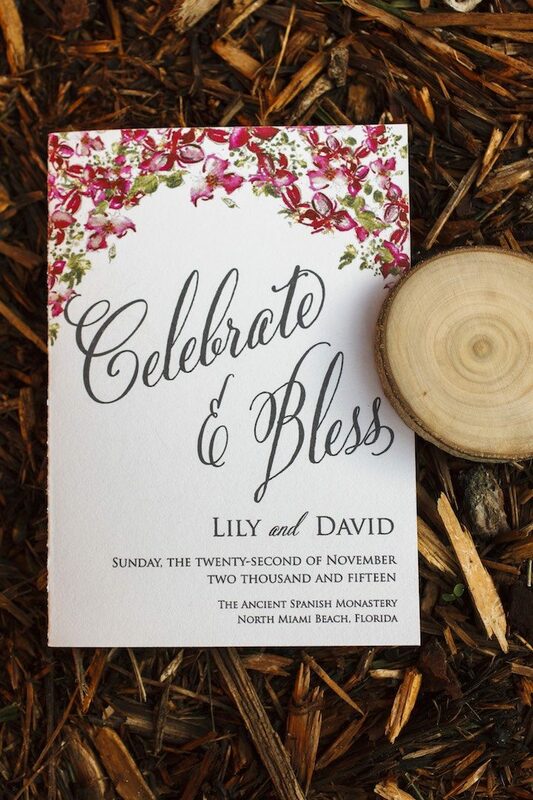 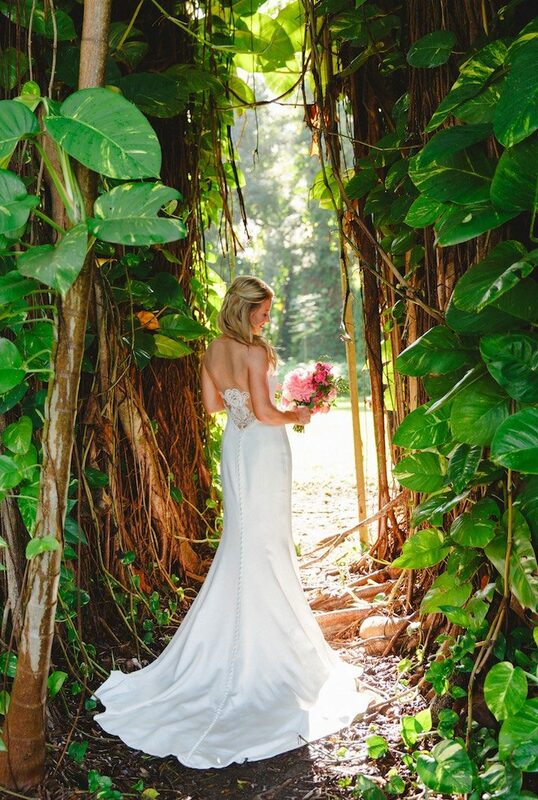 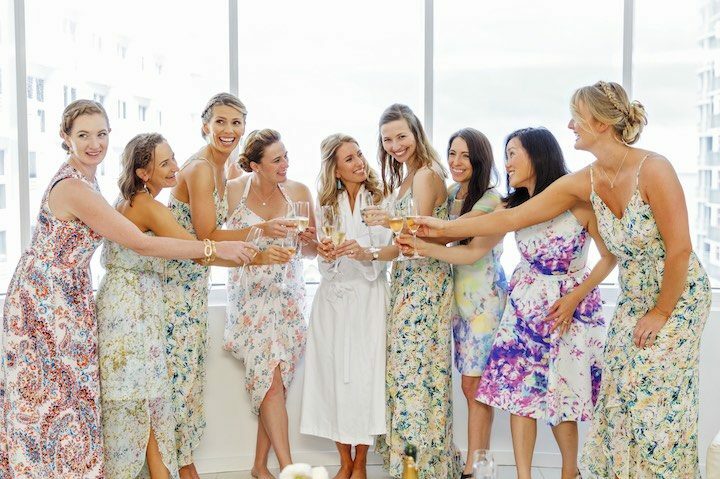 Lilian Haidar Photography captured the blissful moments between Lily and David’s beautiful Florida wedding so take a look and get ready for some European inspiration!